By the time you read this column, it will be old news that Cisco ended production of the Flip camcorder. Some commentators blame the rise of smartphones with video capability, while others cite Cisco’s inexperience in consumer electronics. Whatever the cause, the Flip camcorder deserves recognition from educators for its role in making video production more accessible. I was late to the Flip fan club. 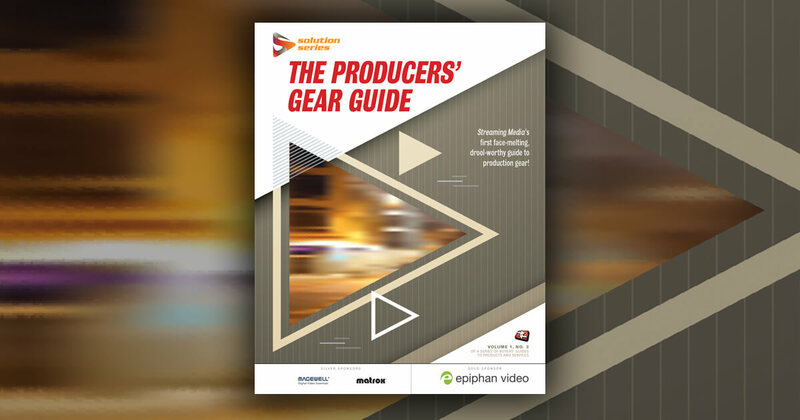 Having spent more than a decade in educational media production, I dedicated a great deal of effort to wringing good quality video from inexpensive gear. I’d also invested hours teaching students, teachers, and researchers how to capture good sound, make the most of available light, and use tripods and microphones to shoot videos that don’t distract viewers from the subject with shaky, murky images and boomy, muddy audio. To me the Flip camcorder seemed to be an enormous step backward. What, no microphone input? And no way to adjust the exposure? I was flummoxed by the fact that there was really only one control: a big red button to start and stop recording. The simple fact is that I was missing the point. The whole idea was to create a device that recorded good enough video in situations where people wanted to shoot video but usually didn’t. Whether it was because other cameras were too big, too complicated, or just too inconvenient to haul around and use, the Flip filled a need. At the same time, the quality of that video was better than you expected it to be, especially indoors. Most classrooms are inside big institutional buildings, lit by efficient but ugly florescent lights. The Flip did well in this environment, while many previous camcorder designs seemed to consider shooting anywhere but outside as an afterthought. Before the Flip, the teacher looking to introduce video production into his course would have had to dedicate a whole class period to showing students how to operate the camera. Demonstrating simple procedures such as properly charging and inserting the battery, inserting a tape or memory card, and selecting the correct recording mode eats up classroom time when using a regular camera. The Flip required very little of this instruction. As a result, a teacher could more easily move into having the students actually create video. The simplicity of the Flip extended to its connection to the PC. Where every other camcorder that came before required the user to hold on to a special—and sometimes proprietary—cable, the Flip’s USB connector just popped out of the body, never to be lost. In the classroom, this can be a lifesaver. It’s the Murphy’s Law of teaching with technology; the moment you have a computer lab full of students ready to upload video is when you can’t find enough USB cables or when the box of memory card readers has simply vanished. We can’t overlook the role of price in the appeal of the Flip, either. Initially priced at less than $200, the Flip made basic and reliable video recording accessible to many more schools, teachers, and students than before. Where previously a class of 25 students might have had to share just a few camcorders, a school could afford two or three times as many Flip cameras, providing each student more opportunities to shoot video. It may be true that smartphones have started to erode some of the Flip’s customer base, but not when it comes to schools. For individual consumers, smartphones are only price-competitive with camcorders because they’re subsidized by service contracts. A college or university isn’t going to take on 2-year contract for tens or hundreds of smartphones just to take advantage of the video features. Never mind that most of a smartphone’s features only distract from the task of shooting video. The Flip camcorder may be gone, but its legacy and a whole new market segment lives on. The Flip alone is not responsible for the exciting growth in educational online video these last few years. But it sure did help. This article was first published in the June/July 2011 issue of Streaming Media under the title "So Long, Flip. We Hardly Knew You."